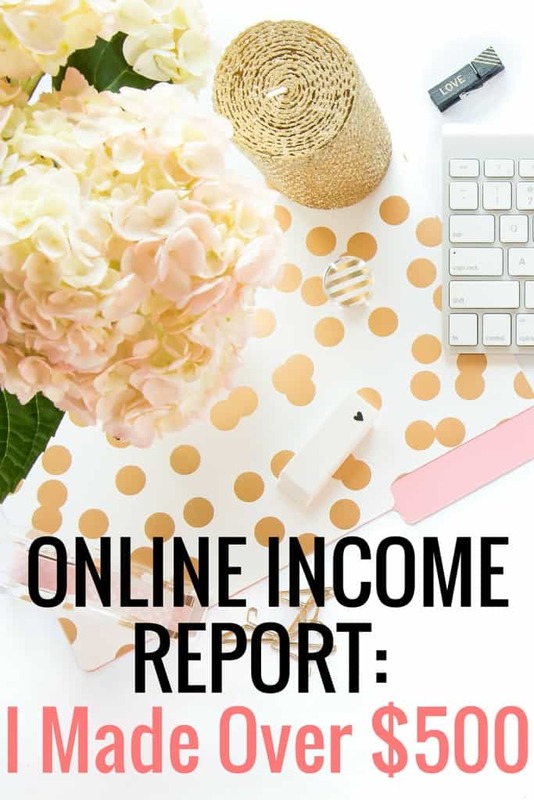 This is my fifth blog income report to share! This report only includes income I received from the month of July. I don’t include any money that is pending. If the money isn't in my bank account, I don't count it! My journey to blogging and making money from my blog has been a slow, but steady one. I started blogging almost a year ago! Towards the end of 2014 and start of 2015, I decided to get serious about my blog and treat it more like a business. I started commenting on other bloggers’ posts, joined Twitter and signed up with Pinterest. At the start of 2015, I committed to writing two to three times a week, improved my photos and wrote better content. In March, I even earned income from my blog. Since then, I have been slowly making money each month! While I won't be able to quit my day job anytime soon, every penny counts! As I stated earlier, my income report only includes money I have actually received. On a separate note, this income is solely money earned from my blog. It doesn’t include income from any other sources, such as freelancing and VA work. I really like affiliate earnings, mainly because I don’t have to rely on crazy high traffic to generate income. My affiliate earnings came from 1 source of revenue last month. There are only a few companies and services I have recommended so far when it comes to affiliate income. Ebates: This is my fave company I use when I shop online. Hello, free money! It's free cashback on every purchase and the money gets deposited into my PayPal account. It's really hard to turn down free money. I've made almost $700 since signing up, which is crazy. Product reviews is a new category for me. I am just getting started in this area of revenue. I am signed up with a few companies that have blog and social media “influencers” that promote products. Some of these are paid and some only include the product. While I have yet to earn an actual paycheck from these “influential” posts, the product value is awesome. I only accept items I would actually use in real life. Last month I did campaigns for a luxury, high end skin care company, Special K cereal and snack bars and Crest whitening products. I also blogged about The Honest Company's products in a previous post. Board Booster $5 – this is a great investment if you want to bring traffic to your blog. *Updated – I switched over to Tailwind for all of my pinning. BlueHost $215.41 – I decided to renew my blog for the next 3 years. Fiverr is my go-to for any miscellaneous, quick fix work right now. They have helped me with my logo and a bunch of technical stuff that I don't have time for. This has saved me from headaches, so paying them is well worth it! 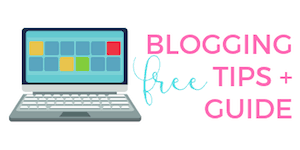 My blog goal is simple for August – get back to a better blogging schedule if possible. I'm still posting twice a week, but I would like to alternate weeks where I post three times in a week. On a side note, I really don't like posting unless I can comment properly. I enjoy reading other blogs and responding to comments on my site. I get really stressed out publishing a post and then disappearing for a few days, which is why my blogging days has been irregular. The full time day job, my new part time job (this will hopefully turn into full time once I relocate) and everything involved with moving is definitely making things crazy right now. Last week I posted what my schedule looks like, and I'm excited for this schedule to end in a few months. Overall, I'm happy with my this month's blog income report. My little blog is chugging along and still doing better than I expected. Hi Kristin, I am super new to blogging but trying to learn. Thank you for all of your information. I am shy about writing. Never considered myself a writer. Want to supplement retirement $. You have really inspired me. I don’t consider myself a writer either, so don’t let that stop you! I am curious what Freelance work you did when you first started out and where you found your clients. I am looking into becoming a freelancer specializing in finances, but unsure of how to start. Thank you for the inspiration by the way! 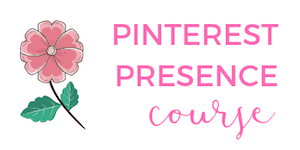 The only freelancing I’ve ever done is as a Pinterest virtual assistant! I wrote a case study about how Pinterest helped my blog grow and after that was hired by fellow bloggers. 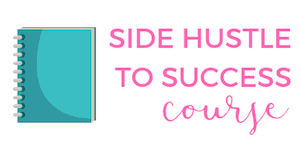 I created a ‘hire me’ page on my site – I no longer offer services – and soon businesses found me and I received a ton of referrals. What kind of freelancing do you want to do? Hey I love all the info you have here! I’m new to blogging and I’m trying to figure out how to up my blog traffic! You are super helpful to his newby! Thanks again! Could you please ellaborate on what you did for getting more page views? I really need help with that. I’m curious because I’ve just recently started my own blog, you said part of this income was free lance work. Does that mean you were writing for another blog or source? I’m still trying to learn the lingo here. Kristin, that is some awesome-sauce progress! Good for you! Keep those inspiring posts coming…very inspirational! Thanks so much for this post. I am getting use to this blogging life after my first blog has traffic but my second blog is powerful! Congrats Cinquanta!! Isn’t blogging life great? !